The National EnviroDevelopment Board is made up of widely recognised and highly respected industry leaders – whom have dedicated their careers to furthering sustainable development in Australia and abroad. The Board governs all EnviroDevelopment activities, including the certification and recertification of projects. Sarah is a Partner of HopgoodGanim’s Planning and Environment practice, bringing more than 15 years of experience to the team in the areas of planning approvals, litigation and dispute resolution, and environmental legislation and policy. Sarah provides front-end advisory services, including project scoping, strategic planning advice and due diligence, through to representing stakeholders in planning and environment litigation and assisting clients with environmental compliance. She has a particular interest in the ever-changing environmental offsets framework. 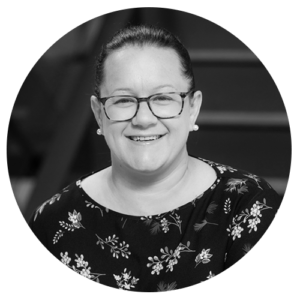 Sarah is Board Secretary for the Urban Development Institute of Australia Queensland (UDIA (Qld)) and is Chair of both the UDIA EnviroDevelopment Board (national) and UDIA (Qld) Planning and Environment Committee. 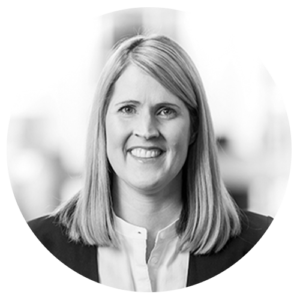 Through her work with UDIA (Qld) and other associations, Sarah is a passionate advocate for balanced planning and environment policy. With over 20 years of professional experience, Andrew has led the successful facilitation and delivery of development and infrastructure projects across Queensland in both the private and public sectors. As an Executive Director of Sport and Recreation within the Queensland Department of Housing and Public Works, Andrew leads the program management, infrastructure planning and investment and delivery of key sporting capital projects and the management of the Queensland Recreation Centres. Previously, Andrew has also held the positions of Executive Director of Development Strategy and Executive Director of Regional and Residential Development at the Queensland Government’s specialist land use planning and property development unit, Economic Development Queensland, where he led the facilitation and delivery of multiple award-winning projects and the implementation of development strategies throughout Queensland. 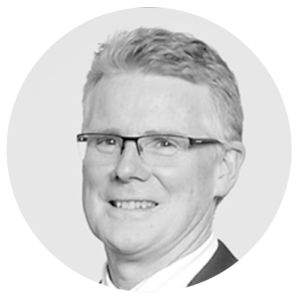 Andrew holds tertiary qualifications in planning and geographical sciences and is a Graduate of the Australian Institute of Company Directors. Graham Marshall currently works finding solutions for sustainable and affordable housing projects nationally. 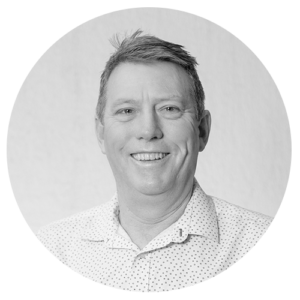 He has worked across all aspects of property development: residential, commercial, and civil projects, as Project Manager/Director, and General Manager for AVJennings in Queensland. Graham has had a lifelong interest in sustainability, having a key role as Trustee with Queensland Trust for Nature (2004 to 2018) in conservation projects for endangered species such as turtles, cassowary, wallaby, and koalas, and currently Trustee of the Balance of Earth Trust and the Stock Foundation and previously having received the Prime Minister’s Award for work with endangered migratory wader birds. Graham has degrees in Architecture and Economics, having received a scholarship to the LSE and has contributed to several industry taskforces. Leanne Weekes is a Special Counsel in Cooper Grace Ward Lawyers property planning and environment team. Leanne advises clients in relation to planning and environment legislation and compliance, infrastructure arrangements for developments, master planned communities, community titled developments, commercial and mixed-use developments, development of environmentally sustainable communities through various initiatives, covenants and codes, acquisition and disposal of large development sites, residential and commercial land and apartment sales and purchases. 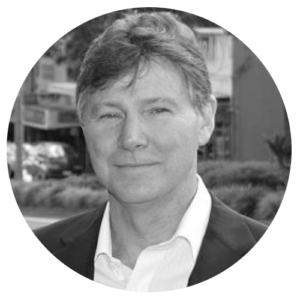 Nelson Wills is a Director of New Ground and is actively involved with projects as a Project Director. 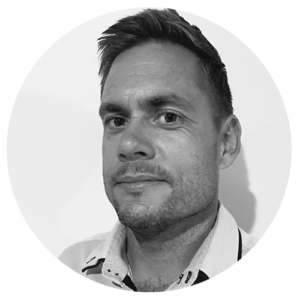 Nelson is a Certified Environmental Practitioner (CEnvP) and has over 18 years’ experience in environmental planning, impact assessment and management across a range of private and public sector projects. Areas of technical involvement have included environmental approvals strategy formulation and implementation, environmental policy development, ecological assessment and management, environmental offsetting, waste management planning, environmental compliance audits and construction environmental management planning. Nelson has a variety of experience in community consultation and liaising with government authorities, developers, councillors and various industry representatives. He is active in a number of technical industry policy committees and is regularly involved in consultation between industry and regulators with respect to environmental policy development and refinement. 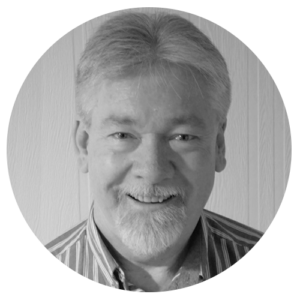 Peter has been part of the urban design and planning profession for 31 years, and currently leads urban design service line for RPS. 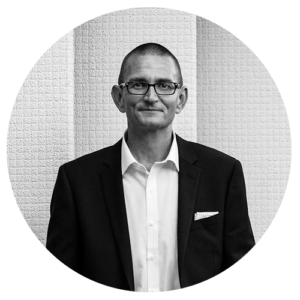 Peter is based in Brisbane but has a wider perspective from leading projects from Sydney to Port Douglas and New Zealand to Western Australia. 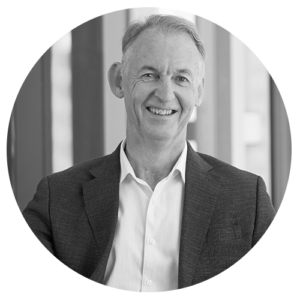 As a design professional and business leader, Peter strives to make a positive contribution in the communities he influences, and ensure outcomes are enduring, sustainable and memorable. Tammy is a real estate lawyer with extensive experience acting for vendors, purchasers, landlords and tenants as the lead legal advisor in significant transactions involving high value real property assets, including commercial office buildings, retirement villages, marine and port precincts, retail shopping centers, resorts and hotels. 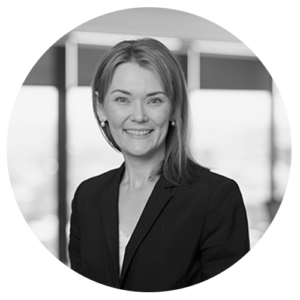 Tammy has a particular interest in seniors living and retirement village law and regulation, having acted for retirement village operators in acquiring development sites, registering retirement village schemes and advising on regulatory compliance. Tammy is an enthusiastic member of the UDIA and advocate for sustainable development across a wide range of development types, but in particular, in seniors living communities. James has more than thirty five years’ experience as a planner and is currently an Executive Director in the Department of State Development, Manufacturing, Infrastructure and Planning. James joined the department in 2010 to promote the development of key planning projects. Immediately prior to joining the department, James was the Director of Planning at the Urban Land Development Authority. 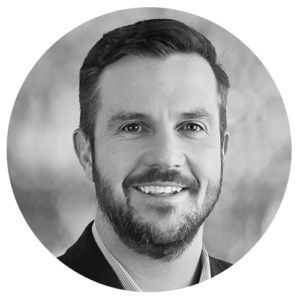 James has also worked in the private sector as the Director of Planning for EDAW and in the Commonwealth and local governments. Aaron has 22 years’ experience in the environmental field, including 19 years in an environmental consultant capacity. Aaron previously worked as a field ecologist in East Gippsland, and has worked as a ranger and firefighter in Queensland and Victoria. He also has extensive experience in National Park and Reserve management throughout Australia. He has extensive knowledge of flora and fauna species and ecological communities, and has played an important role in providing advice on several projects in residential development, infrastructure, mining and exploration, large scale Environment Effects Statements, Environmental Impact Assessment, and strategic planning and design. Steve Dunn joined the National EnviroDevelopment Board in January 2019, having previously been a member of the Victorian EnviroDevelopment Board for two years. Steve is a Fellow of the Planning Institute of Australia and a former PIA National Board Member and State President. Steve has over 35 years experience in the urban planning industry and has held senior executive roles in State and local Government, most recently as Executive Director – Middle Melbourne at the Victorian Planning Authority and is currently seconded to the Victorian Department of Health and Human Services working on precinct planning and affordable housing. 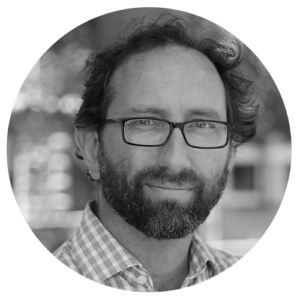 Starting with JBA in 2015, Mark is an expert in creating strategies that support local government, state agencies and large firms to set and achieve stretch targets in sustainability. Mark and his team work collaboratively with clients to discover the opportunities that emerge through a multidisciplinary approach to sustainability. This results in improvements in energy, resource and water efficiency in the built environment, as well as livability. Prior to his time at JBA, Mark spent five years managing the Sustainability Group at NDY Perth. This work followed an earlier career in construction and renewable energy engineering in Europe, South East Asia, America and East Timor. Mark holds degrees in Engineering (Renewable Energy and Control Systems) and Science (Energy Management). Lex is a town planner with 38 years experience in both the public and private sectors, and the last 22 years as a Partner/Managing Director with Taylor Burrell Barnett. His contribution to the profession was recognised by his election as a Fellow of the Planning Institute of Australia in 2016. He is currently President of the WA Divisional Committee of the PIA. Lex’s primary field of professional expertise is in the area of Urban and Regional Planning; he and has many years of experience in the urban planning and property development field and has a high profile in both government and private sectors. Lex was a member of the inaugural EnviroDevelopment Board of Management WA and has remained on the Board for the 10 years hence. His company, Taylor Burrell Barnett was also an inaugural sponsor (Supporter) of the program. He has also been a continuous active participant, either as a Councillor or a Committee member of UDIA for the past 22 years.